This beautiful picture druzy gemstone is called that because it looks like the druzy itself is framed by the sides of the gemstone. 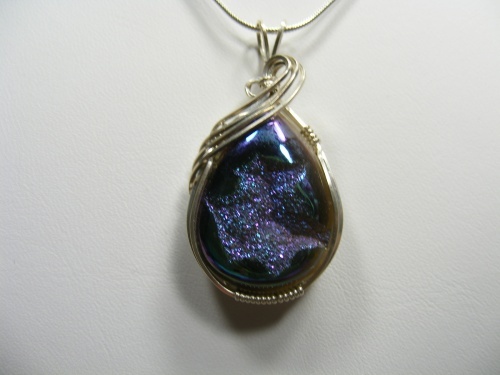 Vibrant colors of deep blue green and purples, this stone is embelished with sterling silver swirls. Piece measures 1 3/4" by 7/8" and comes with a sterling silver chain.